How many hours should the pool equipment run each day? It is first necessary to pass water through a filter to remove debris. A standard sized pool pump with normal filter pressures will pump about 250 litres per minute (lpm). In an 8 hour running cycle, the above-mentioned pump should theoretically turn over the water 4 times (60,000 / 15,000). Chlorine is required after filtration to react with any remaining debris (both visible and invisible), remove stains by oxidation and sterilise the water of harmful bacteria. A chlorine residual (or reserve) of 1 - 3 ppm is required for any imminent bather load in a pool. 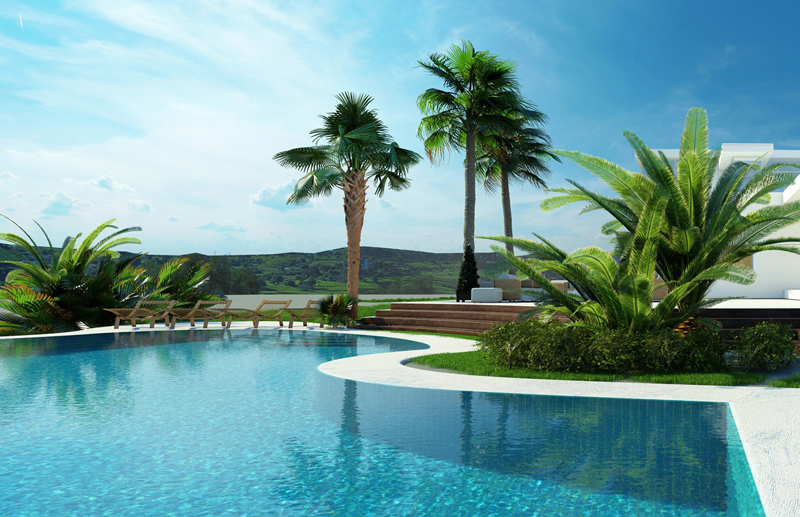 Ideally, the time clock should be set to operate the chlorinator from late afternoon (when the sun is off the pool) to continue throughout the night as necessary (unless solar heating has been installed). CAUTION! The pump and chlorinator should be running simultaneously. Did you know, that there are 6 in-built timers on the EcoBlend® chlorinator that are completely customisable, allowing you to perfectly tailor the running times to suit your needs? During the colder months, you may be able to dramatically save on electricity costs by setting alternating on/off days, for example, only running the pool equipment on Mondays, Wednesdays and Saturdays. And on weekdays, you may like to set less hours per day of running times whilst you are at work, than on a weekend, when you may actually use the pool! 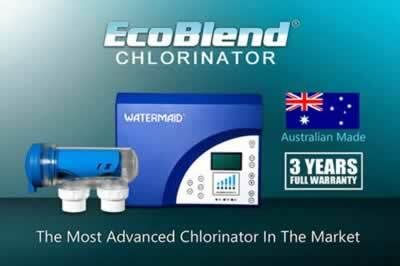 All this can be customised easily in the timer settings of the EcoBlend® chlorinator!